Synopsis: Heartbreak and the fallacy of time mending; heartbreak defined; heartbreak’s secret benefits; heartbreak’s dangers, and five things you can do that are likely to help are all covered in this mini-love-lesson. We all can become heartbroken from the loss of a loved one or the loss of love itself. Loss can come from a breakup, divorce, a death, abandonment, betrayal, a severe lasting estrangement, a major defeat in life where someone or something you truly love is lost and also by experiencing a severe contradiction to your understanding of how love is to be carried out in your life. Wherever there is love there is the potential for love loss and, therefore, heartbreak. The good news is wherever there is heartbreak there is the potential for heart mending. Without mending, heartbreak can destroy people’s lives or at least large segments of people’s lives. Therefore, knowing how to assist and hurry the mending process is very important. Some say time alone will cure heartbreak but that is not true. More accurately it is that given enough time we slowly, eventually may stumble across some of the things that bring about mending. It’s what happens ‘in the time’ that makes the difference and, while for many it’s very slow, the process can be hurried somewhat when you know certain actions to take. There are people who get stuck in their brokenhearted living and stay there for the rest of their lives, not recovering at all. You do not have to be one of them, nor do those you care about. Heartbreak can be defined as intense, emotionally painful, overwhelming and seemingly crushing distress, grief and ongoing agony over the loss of a major, love involvement. One of the major functions of love is that it brings us into deep, heartfelt connection with the loved. Another major, love function is that love provides us with vital, psychological, life nourishment. When our connection to life nourishing love is lost we become at risk. Depression, despair, fear, anxiety, grief, loss of will to live, loss of energy, loss of functionality, and a sense of profound agony and emptiness can result. These are some aspects of what true heartbreak is. Heartbreak is seen as a more severe form of heartache, heart sorrow, having an empty heart and other terms indicating hurt is occurring over the absence, or loss, or distancing of someone or something loved. To be truly heartbroken is a serious and dangerous condition though the term heartbreak and heartbroken are often inaccurately used to indicate milder forms of disappointment and disillusionment, usually connected to romance. Heartbreak also can be understood as a serious, pathological, neurochemical imbalance occurring in the brain following the loss or severance an important love relationship. Having a broken heart may tell you a lot about what you need to know. It may tell you that the way you are going about love needs an overhaul. The agony of a broken heart may tell you that who you are choosing, or who you are letting choose you for love relating may need some drastic change. Heartache and heartbreak from the loss of a love may tell you how important love is in your life, and to give love much more serious attention, and not take it for granted. 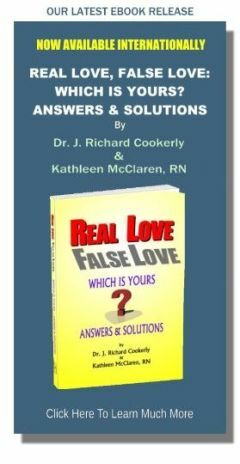 Heartbreak may persuade you to expand the number of sources and kinds of real, healthy love relationships in your life. Heartbreak can tell you to get yourself repaired and then learn how not to be so vulnerable and susceptible, but instead be stronger and more able to cope with love gone wrong. That usually points to the need for considerable, healthy, self-love improvements. Heartbreak often is what it takes for a person to finally re-orient and re-direct their lives into more healthy and constructive pathways. For many people without having experienced serious, broken heart problems they never would have given love enough thought to learn how to do it well. Heartbreak can be quite dangerous. Love loss can and often does bring on serious, suicidal depression. It also can trigger major abandonment feelings and fears, and a sense of being lost in life. Heartbreak may result in a retreat from life and an overly defeated, self protective lifestyle. It can lower your immunity system defenses and make you vulnerable to infectious diseases, and it can cause or exacerbate stress illnesses like heart attacks and strokes. 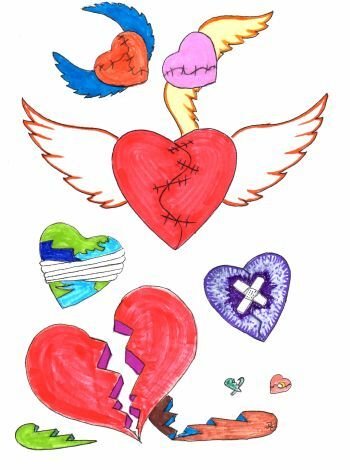 Heartbreak is known to cause people to turn to various addictions for escape from the pain of heartbreak, although the pain still is there undealt with. Heartbreak also is thought to be a major cause of addiction relapses. So, if you are suffering or if someone you care about is grieving with a ‘broken heart’ watch for these danger signs and get real help. None of these need be your result. Most people recover from heartbreak. Most people who get help recover faster, and sooner, and also more thoroughly. One approach to recovering from heartbreak is to take a deep, multi-love approach. This means purposefully developing your healthy, real love of life, others, self, spiritual love, possibly family love, friendship love, possibly the love of a cause or a worthy involvement, and then throwing yourself into those loves. Later you can learn to give yourself a chance at a love, similar to the love you have missing from your life, but go about it in a more likely to succeed manner. In my work with the families of murdered children, those recovering from divorces and breakups, widows and widowers striving to recover, sole survivors of family tragedies, and in my own former recovering from love loss I have found five things that particularly can help many people get started on a path to recovery. It takes hard work, but it’s easier than living without healthy, real love in your life. 1. Go to counseling with a very loving, love-centered counselor or therapist. 2. Get yourself into daily psycho-educational experiences about love, and love relationships, and everything that’s related. This means read about healthy real love, watch video presentations, listen to audio talks, journal, search the Internet, go to classes, workshops, seminars, retreats and anything else you can find that relates to learning the how to’s of healthy, real love. 3. Immediately, but very slowly, and in small steps involve yourself in all sorts of other love and love potential relationships with pets, friends, positive family members, groups of people who are or may be positive and loving. 4. Increasingly do anything and everything that is potentially distracting and which later may have the potential for being enjoyable. Start with spectator events like going to happy movies, and then later get involved in things that move your muscles a lot because motion helps change emotion usually for the better. Even the mildest and briefest of distractions from emotional pain are useful in helping you heal and are likely to help you grow stronger the longer you repeat them. 5. Slowly and in small steps immediately get into increasingly healthful living. Exercise, healthy diet (including some strictly pleasurable comfort foods, especially chocolate, a mood elevator, are okay in small amounts), affirmations work, meditation, prayer, yoga, art, sports, upbeat music, nature, etc. all can be part of a healthful lifestyle. These things first can be first done alone if you prefer, and then later with others doing similar things. Get a physician’s help, and other health professional’s assistance, and possibly a trainer who may help with motivation. All this can be part of your healthy, self-love program. This outline is much too brief but is aimed at helping you to get going toward heartbreak recovery, or to help someone you care about who is suffering a broken heart. It points the way toward a ‘path that many have traveled’ to full, heartbreak recovery and beyond. If you already have been a survivor of serious heartbreak, do you know how you did it so that you can do it again if need be?